Outrigger Enterprises Group, one of the largest and fastest growing privately-held leisure lodging and hospitality companies in the Asia-Pacific and Oceania regions, announced five new additions to the company to complete its global marketing team. Bitsy Kelley has rejoined the company as vice president, corporate communications. Jasmine Tso joins the team as vice president, global brand services, and Tammy Uy has been hired as executive creative director. Sun Wong has been promoted to corporate director, global marketing, and John Limper has joined Outrigger as vice president, sales and marketing for Hawaii and Guam, to complete the team. Kelley has been part of the Outrigger Enterprises Group global marketing team as vice president, corporate communications since October 2013. A third-generation member of the Kelley family, owners of the hospitality company, Kelley is responsible for developing and implementing effective communication strategies to key company audiences. Prior to rejoining Outrigger, Kelley shared her knowledge and enthusiasm for the great outdoors through her popular television show “Outdoor GPS,” as the former host of “Bitsy Kelley Outdoors,” and “America’s Outdoor Journal” on The Outdoor Channel. She also previously served as director of brand and business development for OHANA Hotels and Resorts, establishing the Outrigger Hotels and Resorts OHANA brand known for its moderately priced accommodation in Hawaii and previously Guam. Jasmine Tso joins the global marketing team as vice president, global brand services, and is responsible for driving the positioning and brand development for the Outrigger global portfolio. Tso is a brand and marketing leader with more than 15 years of experience in developing results-driven strategies and programs to achieve company goals. Before joining the Outrigger team, Tso served as director of brand management at Hawaiian Airlines, director of marketing for the Asia-Pacific Economic Cooperation (APEC) 2011 Hawaii Host Committee, and marketing and promotions director at Ala Moana Center. Tammy Uy is the executive creative director for the global marketing team, a new position within Outrigger. Uy will work with Tso to ensure content and imagery used in all Outrigger brand portfolio marketing materials are aligned with respective brand positioning, integrated and localized where appropriate. Uy previously served as creative director for MVNP (formerly Milici Valenti Ng Pack) ad agency, overseeing all accounts. Under her leadership the agency won numerous local, national and international awards in both traditional and interactive categories. Sun Wong has been promoted to corporate director, global marketing. Wong will oversee all global media efforts, which includes online, offline, consumer and travel trade channels. Prior to joining the corporate offices in 2009, Wong held the position of director of sales and marketing at the Outrigger-managed Embassy Suites - Waikiki Beach Walk where she was responsible for integrated sales, marketing and public relations and promotions strategies for the resort. She also served as regional market director-Hawaii, Asia-Pacific for Orbitz.com. Wong has been a long-time member of the marketing committee of the Oahu Visitors Bureau and was recently elected to the organization’s board of directors. John Limper has assumed the position of vice president, sales and marketing for Hawaii and Guam. In this role, Limper will develop and execute sales and marketing strategies to ensure maximum market share, revenue and occupancy growth within the company’s Hawaii and Guam portfolios. 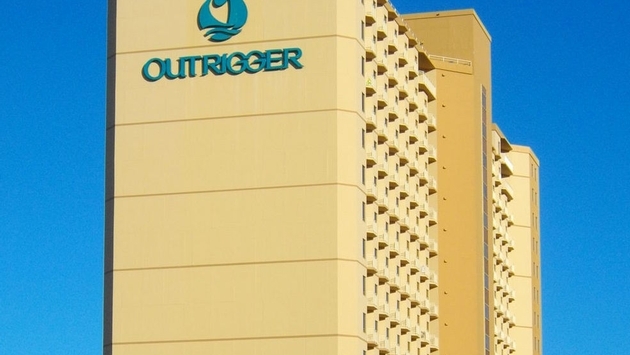 Limper joins Outrigger with more than 30 years of hospitality industry experience. Most recently Limper served as area director of sales and marketing for Marriott Hawaii hotels, and was previously area director of sales and marketing for North Asia, Hawaii and the South Pacific responsible for the implementation of hotel sales, marketing, advertising and public relations for 31 properties representing various Marriott brands. An active member of the hospitality industry, Limper currently serves on the board of directors for the Oahu Visitors Bureau as well as the marketing committees of the Oahu Visitors Bureau and the Hawaii Visitors & Convention Bureau. He is a member and past chair of Meet Hawaii and is also a member of Professional Convention Management Association and the American Society of Association Executives. The new Outrigger Enterprises Group global marketing team is headed by chief marketing officer Sean Dee and will drive the development, integration, implementation and consistency of the global brand messaging and communications across the entire Outrigger portfolio emphasizing the family-owned company’s long heritage in Hawaii and values-driven service culture. The completion of the global marketing team coincides with the company’s continued transition to a global hospitality brand with expansion throughout the Asia-Pacific region and its most recent hotel opening, the Outrigger Mauritius Resort and Spa in the Indian Ocean. Currently, Outrigger owns, operates and has under development 45 properties with approximately 11,000 hotel rooms, located in Hawaii, Australia, Guam, Fiji, Bali, Thailand, Mauritius, Vietnam and Hainan Island, China.